I can’t remember precisely when I heard of Ramana. It seems like I have always known Him! When I was 22 and meditating in my teacher’s meditation hall, I was literally thunderstruck when the singers started to chant, Arunachala Shiva, Arunachala Shiva, Arunchala….Om Shakti, Om Shakti, Om Shakti Om, Om Shakti, Jnana Shakti, Para Shakti Om! I am always grateful for the opportunity to speak of Ramana Maharshi and consider it a privilege to make my site available to Bhagavan devotees for the teachings on the Self. Ramana’s teachings are the purest teachings. Everything else, at least for me, pales in comparison. Ramana Maharshi, in the innocence of his youth, read about the life of 63 Saivite saints and became fascinated with their devotion and intoxicated with Divine Love. Within a few months, he realized the Self. At the tender age of 16, Ramana left home to go to Arunachala where he stayed for the next 53 years. At the holy mountain of Arunachala, Ramana sat in Samadhi as his body was eaten away by maggots. Ramana literally treated his body as a corpse, and without people to feed him and take care of him the first few years, the body would not have survived. Ramana is utterly unique. His life was public and everyone had free access. There was no hocus pocus and mystery which many so called “masters” are famous for. 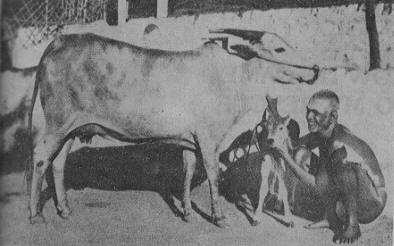 Sri Ramana was an embodiment of Ahimsa and compassion. One sees that in his words, his conversations, his actions. In the early years at Arunachala, deadly plague afflicted the area. Many people had died or run away. Everyone was afraid. There was no Ashram then and Ramana and his friends lived in caves. When one of Sri Ramana’s devotees came down with the plague, the other devotees advised Ramana that they should all move to a different area away from this person. They assured Ramana that the devotee who had come down with the disease would be sent food periodically to the cave and thus taken care of. The Sage of Arunachala, however, refused to leave the devotee afflicted with plague. Ramana said that everyone was free to go but he would stay with the sick devotee. He requested that some food should be sent for both of them. Seeing Ramana’s adamant position on the matter, the other devotees then also decided to stay. If we read the actual stories of Ramana’s life and conversations with Ramana, the immaculate purity, serenity, and the overwhelming beauty stand out. Sri Ramana’s life and actions exemplify his teachings. The perfect ease and authority with which Ramana Maharshi spoke of the Self was in total harmony with purity, beauty, and love that was reflected in his actions and life. Everyone, regardless of their path will benefit from the teachings of the Sage of Arunachala. That is my view. Harsha, thank you so much for this wonderful site. I only get to it occasionally but I always read something that lifts me up and helps to focus my mind on what really matters. I have found in Sri Ramana a perfect man but I’m cautious not to just see a man but rather to see the divine. As he said at the end of his life, “You attach too much importance to the body”. His beautiful smile and eyes are only so because of the Absolute that was is life. Thanks again for the blessing you bring to us, your readers. I am overwhelmed by your love for Bhagawan. I first heard of the Sage of Arunachala from my brother-in-law and my attraction towards the Maharshi grew gradually. I consider the Sage of Kanchi as my manasa guru Probably it is HE who directed me to the teachings of Bhagwan as once he directed Paul Brunton to visit the Maharshi. We are all brothers and sisters in Bhagavan.